Join the Corporate Sustainability Roundtable as we explore the topic of food waste management in the workplace and learn about Kroger’s Zero Hunger | Zero Waste initiative as a compelling best practice. Community experts will join us to lend perspectives on food recovery and composting, and the resources and opportunities available to Roundtable members. RSVP here. August 23rd, 3:30-5 pm (3pm networking), Kroger Corporate Offices (2620 Elm Hill Pike, Nashville). Please see parking map below. Arrive early to enjoy networking with the Roundtable community. 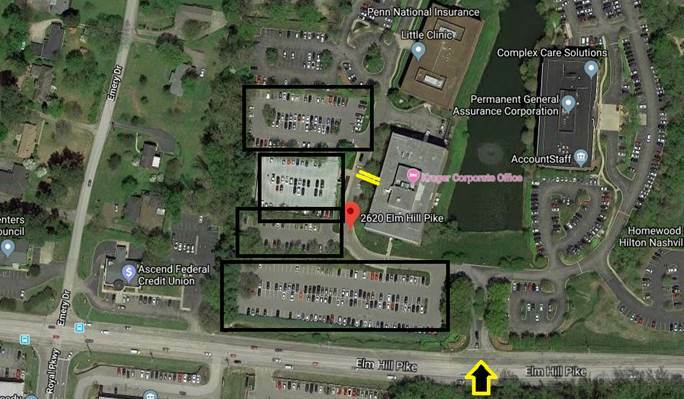 Parking at Kroger Corporate Offices: Enter from Elm Hill Pike and park in any of the outlined parking lots. Enter the building at the entrance highlighted in yellow. 4:00 Small Group Discussion: Situations and solutions in addressing food waste. Local and regional topic experts will be present to lend insight and answer questions. 5:00 Kroger Simple Truth Sample Hour! Welcome, UL EHS, to the Roundtable! UL EHS Sustainability provides employee health management solutions; environment, health and safety management; and sustainability software that helps businesses manage and track energy and carbon, corporate social responsibility, and supply chain information. Our friends at SWANA have provided several special opportunities for Roundtable members to participate in the conference. Show Floor Pass -- The Tennessee State Chapter of SWANA has kindly provided complimentary Show Floor Passes for Roundtable members to access the floor show, which showcases a variety of fields in the industry. We are told there is something for everyone there, and of course the Urban Green Lab Mobile Lab will be on site! View the exhibitor floor plan here. The floor show is open Tuesday, August 21, 10:00am - 3:00pm and Wednesday, August 22, 1:00pm - 4:00pm. Download your complimentary pass here. MRF Summit -- SWANA has also invited Roundtable members to attend the MRF Summit at a discounted rate. 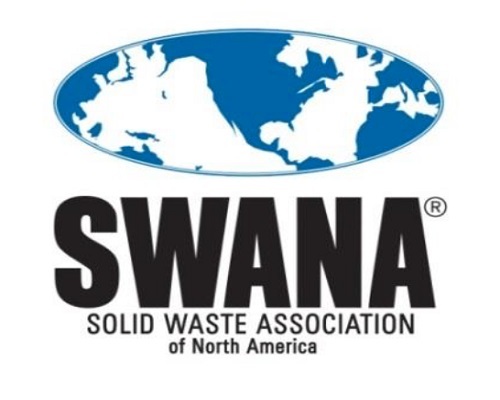 This event, a partnership between SWANA and the Institute of Scrap Recycling Industries (ISRI) provides opportunity to delve into the challenges resulting from waste import restrictions by China and others. Learn more about the Materials Recovery Facility (MRF) Summit agenda here. Use MRF2018 code to get the member rate of $400 for the Summit that runs all day Wednesday and concludes Thursday morning. Questions or comments? Please email Todd Lawrence, Executive Director ([email protected]), or Christian Ryan, Corporate Sustainability Manager ([email protected]), or call us at (615) 442-7072.